What Is the Rapid Prompting Method for Treating Autism? What's the Story About the Rapid Prompting Method for Autism? Soma Mukhopadhyay is an Indian mother who developed a successful technique for teaching and communicating with her autistic son, Tito. She calls this technique the Rapid Prompting Method, or RPM. Tito, now an adult, is still profoundly autistic, but has also developed talents as a poet, writer and teacher. How does this method work? Is it worth trying? In 2003, Soma Mukhopadhyay and her son Tito were featured on CBS 60 Minutes II exploring her unique approach to autism therapy. In 2008, CNN ran a similar program. Called The Rapid Prompting Method, it involved constant, fast-paced questioning, prodding, and engaging, combined with the use of a low-tech alphabet board for spelled communication. According to the show (and to Soma) this method allowed Tito, for the first time, to truly communicate his thoughts and ideas. Experts theorizing about Soma's success suggest that perhaps the pace of Soma's interventions interferes with autistic self-stimulation and enforces focus on the larger world. This show, and another on PBS, explained how Portia Iversen learned of Soma's work and contacted her in hopes that Soma could help Iversen's autistic son, Dov. Iversen is the wife of producer Jonathan Shestack; together, the couple founded a research foundation called Cure Autism Now (now a part of Autism Speaks). Iversen later came out with a book called Strange Son, which describes Soma's techniques and states that RPM and "pointing" (to a spelling board) allowed Dov to begin communicating for the first time in complex, intellectual sentences. Since the publication of Strange Son, Soma and Portia have parted ways, but RPM has grown in popularity as a result of Soma's organization (Helping Autism Through Learning and Outreach, or HALO) and Portia's website. Soma says that her work with clients in her Austin, Texas, office allows them to self-regulate, make their own choices among options, and even communicate when prompted to do so using the alphabet board. Soma now offers parent programs and trainings. "...uses a "Teach-Ask" paradigm for eliciting responses through intensive verbal, auditory, visual and/or tactile prompts. RPM presumes competence to increase students' interest, confidence and self-esteem. Prompting competes with each student's self-stimulatory behavior, and is designed to help students initiate a response. Student responses evolve from picking up answers, to pointing, to typing and writing which reveals students' comprehension, academic abilities and eventually, conversational skills. RPM is a low-tech approach in that is requires only an instructor, student, paper and pencil. But the science behind how and why it works for some individuals is much more complex." There is little research that suggests RPM is a particularly effective technique for teaching people on the autism spectrum. There are, however, numerous anecdotal stories of success, many of which are posted on the Halo website. On the other hand, multiple experts have observed that RPM is suspiciously similar to Facilitated Communication, a now-debunked method through which people with severe autism appeared to "communicate" through a keyboard. It was later discovered that at least some of the observed "facilitated communication" was actually a case of the "therapist" guiding the autistic individual's hands. "We defer, for the moment, the crucial question of whether the communications produced during RPM therapy are genuine. Our aim in this preliminary, case-based study is only to test for behavioural effects that would be consistent with RPM’s claimed strategy and mechanism: is there any plausibility to RPM’s anecdotal reports? If the measured effects are consistent with the claimed mechanisms, the question of whether, for whom, and under what circumstances RPM produces valid communications would be the proper subject of a future, separate, larger study." In 2014, the Wisconsin Department of Health Services Autism and other Developmental Disabilities, for a second time, stated that there was insufficient research to support the therapy. Only two papers had been published which focused on RPM, and: "Neither of these papers were empirical research studies examining the effectiveness of Rapid Prompting." RPM and pointing carry no physical risks. On the other hand, they are not backed by proper research. In addition, it seems surprisingly easy to get positive results based not on legitimate communication but on the expectations of therapists and parents. Because of a dearth of research, parents who travel to Austin for Soma's services do so on the basis of anecdotal evidence and hope -- and at considerable expense. It is, however, possible to start RPM and "pointing" on your own, by working from manuals, videos and instructions provided on the HALO website. Evaluate your child's present status relative to the therapy. 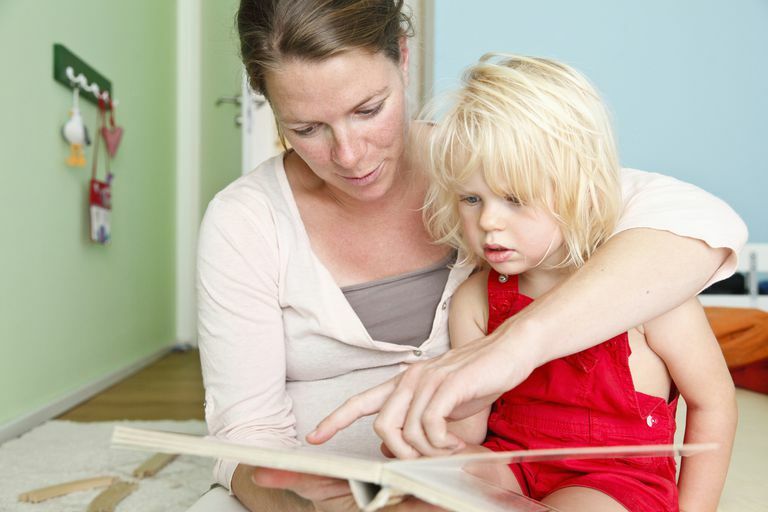 For example, if the therapy is supposed to help your child to communicate, what are his communication skills at present? Can he use spoken words? How many? How appropriately? Can he type? Does he use typing to communicate and, if so, how well? Ideally, you'll want to be able to compare your child's progress to a numerical standard (x out of y tries, X% of the time, x number of words, etc.). Establish clear goals with the therapist. What exactly is she hoping to achieve with your child, and what does she feel is a reasonable goal within a given time frame? For example: use three new words appropriately within six weeks, or use a spoon correctly in five out of six trials. Compare real outcomes to benchmarks and goals. It's easy for a therapist to tell you "look, Johnny is now much more engaged and communicative!" But is he really? Or was he just as engaged a month ago? To find out, you and/or your therapist will need to actually evaluate Johnny's abilities a second time and then compare outcomes to your initial evaluation and to the goals you've set. Elliot, James. The battle over a controversial method for autism communication. The Atlantic. July 20, 2016. Lang, Russell. The only study investigating the rapid prompting method has serious methodological flaws but data suggest the most likely outcome is prompt dependency. Evidence-Based Communication Assessment and Intervention. Vol. 8, Issue 1, 2014. Can facilitated communication help your autistic child communicate?